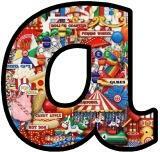 Alphabet display lettering sets with Curricular Subjects Themed backgrounds. Each letter or number is pasted as an image separately into a word document so you can copy and paste only the letters you need to make your title. Free printable instant display digital lettering sets with a Holy Communion background. Free printable instant display digital lettering sets with a Last Supper background showing Jesus and his disciples. Free printable instant display digital lettering sets with a Jewish, Judaism background. Classroom display letters with a Star of David, Judaism Symbol background. Free printable Bread with Wheat and Flour photo background instant display digital lettering sets. Great for a Harvest Display. Free printable St George and the Dragon background instant display lettering sets for classroom bulletin board display. 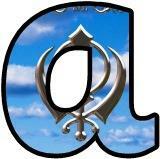 Free printable Sikhism, Khanda background instant display lettering sets. 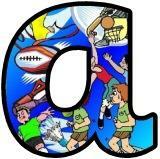 Digital lettering to print for classroom bulletin board displays and banners. Free printable Lent background instant display lettering sets for classroom bulletin board display. Free printable cross and lily background instant display lettering sets for classroom bulletin board displays. Free printable instant display digital lettering sets with Gold Cross, Christianity background. Free printable lettering sets with a purple cross surrounded by a crown of thorns background. Great for Easter Classroom Bulletin board displays . Free printable crosses on a hill background Easter lettering for classroom bulletin board display. 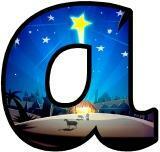 Free printable Nativity scene, Christmas background instant display lettering sets for classroom bulletin board displays. 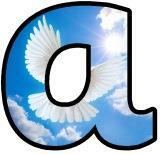 Free printable dove with olive branch background instant display lettering sets for classroom bulletin board displays. Flower rangoli design background printable display lettering sets. 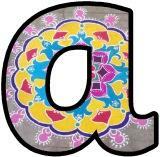 Rangoli patterns background display lettering sets. 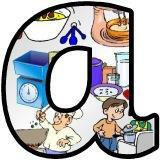 Diwali, Oil Lamp, Hindu Festival background printable letters for classroom display. 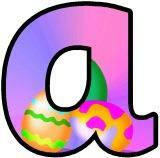 Easter egg with a cross background printable display lettering sets. 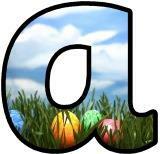 Easter eggs in grass against a blue cloudy sky background instant display lettering sets. Free printable Cute Easter background instant display lettering sets featuring Easter baskets, Easter Eggs, Easter Bunny and Chicks. 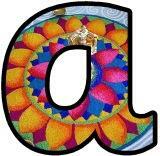 Hindu gods background, Hinduism display lettering sets. Hanukkah, World Religions Symbols alphabet sets. Free printable Buddha background classroom display lettering sets. Digital letters. Printable Buddhism Dharma Wheel on Buddhist Flag background classroom display lettering sets. Free printable Islam background instant display digital lettering sets for classroom bulletin board display. Four different Islam lettering sets and borders. 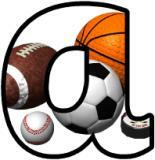 Free printable instant display lettering sets with a sports balls background. Includes soccer, rugby, squash, tennis, pool, baseball, bowling, basketball and golf balls. Free printable instant display digital lettering sets with a Gymnastics, exercise, Yoga themed background. 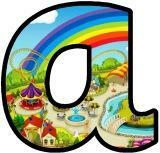 Free printable Children playing, playground games background instant display lettering sets. Free printable tennis background instant display lettering sets for classroom bulletin board display. Great for a Wimbledon topic. 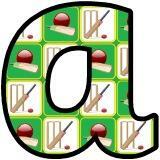 Cricket background printable lettering sets and border. Free printable Soccer ball background instant display digital lettering sets for classroom display. 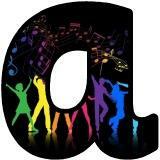 Dance background free printable instant display lettering sets. Sports themed background display lettering sets. P.E. various balls lettering sets and border. Forces in Sports display lettering set. 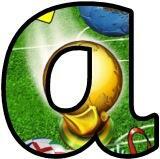 World Cup printable lettering sets. 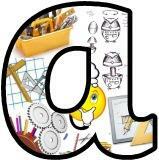 Free printable Puppets background instant display lettering sets. Collection of boxes, bottles, egg cartons etc background lettering sets for junk modelling display headings. Free printable digital lettering sets for classroom bulletin board display. 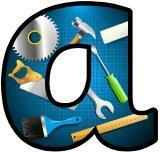 Design Technology, tools background lettering sets. 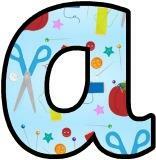 Sewing background printable display letters. Free printable patchwork sewing background instant display lettering set. Free printable lettering sets for classroom display, with a buttons background. 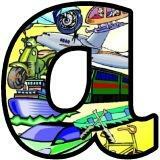 Design Technology background display lettering sets. 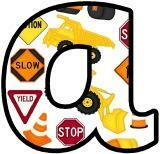 Construction, building site background display lettering sets and border. Cooking themed background display lettering sets. 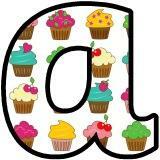 Free printable lettering sets with a cupcakes background. Free printable Instant Display digital lettering sets with a woven hessian background. Free printable instant display digital lettering sets with a Bridges background. Free, printable lettering sets with a Steam Train, Transport themed background. Great for Geography Classroom Displays. Free printable lettering sets showing the earth surrounded by hands. Caring for our planet/environment lettering sets for classroom display. Free printable Maori pattern background instant display digital lettering sets for classroom bulletin board display, scrapbooking etc. Free printable capital letters on a globe background instant display lettering sets for classroom bulletin board displays. Great for geography, map work, countries displays. Free printable water cycle background instant display lettering sets for classroom bulletin board display. Free printable Instant Display digital lettering sets showing the Colorado River, running through the Grand Canyon. Free, printable lettering sets with a River background. Great for Geography Classroom Displays. Free printable instant display digital lettering sets with a France themed background. Free printable instant display digital lettering sets with a Spanish themed background. Free printable New York background instant display lettering sets for classroom bulletin board display. Free printable Venice background digital lettering sets for classroom bulletin board display. Free printable Berlin background instant display lettering sets. Free printable Mountains background instant display geography lettering sets for classroom bulletin board displays. 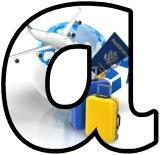 Free printable travel, holiday, vacation background instant display digital letters for classroom bulletin board display. 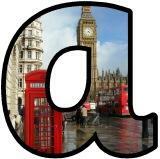 London, Big Ben, Telephone Box, Red bus background printable display letters. Free printable lettering sets showing London and the Houses of Parliament. Free printable instant display lettering sets with a Tower of London background. 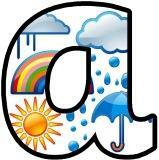 Weather icons background display lettering sets. Transport themed background lettering sets. 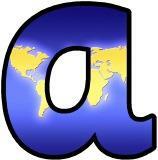 World map background instant display lettering set. 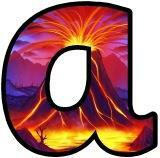 Volcano background printable lettering sets. World Map background display lettering. Centred around the North Atlantic Ocean. Free printable map of the UK background instant display lettering sets for classroom bulletin board displays. Free printable seaside, beach, holiday background instant display lettering sets for classroom bulletin boards and displays. Free printable seaside, lighthouse background instant display digital lettering sets for classroom display and bulletin boards. Free printable instant display digital lettering sets with a mat map background. Great for transport or geography themed displays. Investigating Rivers instant display lettering set. The Active Planet display lettering set. 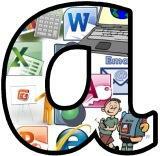 Computing background printable display lettering. 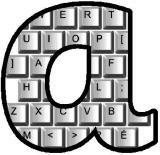 Computer keyboard background lettering sets and border. Free printable musical instruments background instant display lettering sets. Free printable black music notes on a red background instant display digital lettering sets for classroom display. 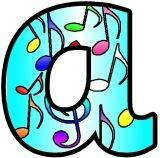 Free printable music notes on a white background instant display classroom lettering sets. Print on coloured paper to match your display. 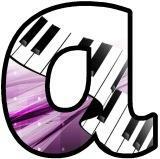 Piano Keyboard Music background display lettering sets. Musical notes and symbols on a blue background printable display lettering sets. Free printable Rights of a Child background instant display lettering sets for classroom bulletin board display. Free printable Business Studies and Economics backgrounds digital lettering sets for display. Backgrounds showing Art in Nature.